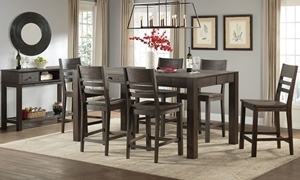 Add a little allure to your dining room with the Salem dinette collection. Its 60-inch leg table can seat up to six comfortably, and showcases a simple silhouette crafted from solid acacia. Two drawers on both sides offer an easy place to stow linens, utensils and more. 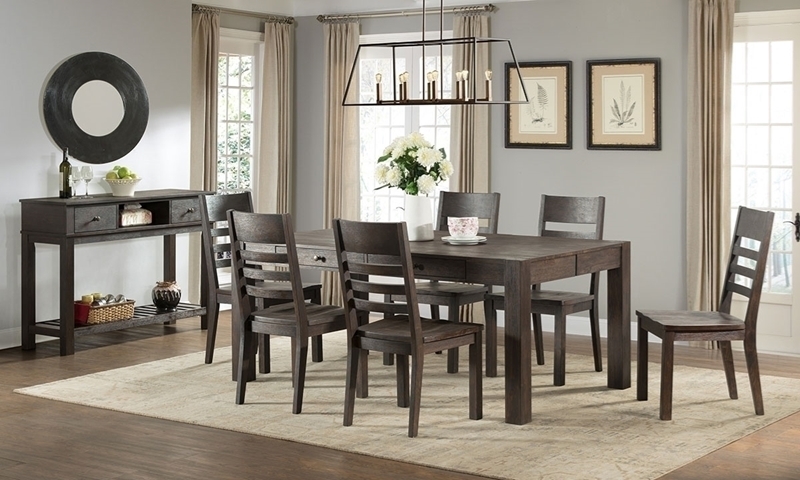 Four casual slat back side chairs are included in this dining set, flaunting a dark, wire brushed cocoa finish to bring a warm depth to your décor.